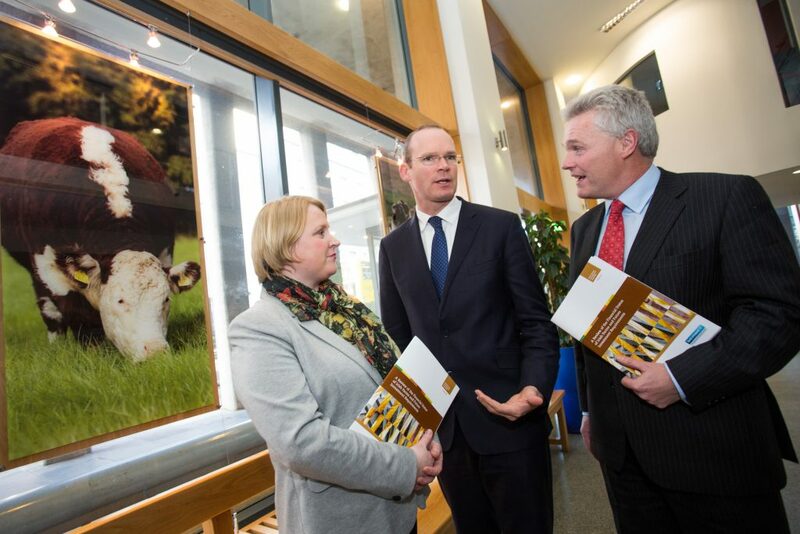 Fiona Thorne, Teagasc, Minister Coveney and Mark Cunningham, Bank of Ireland. Irish farmers can’t be working for the banks, the Minister for Agriculture has said. 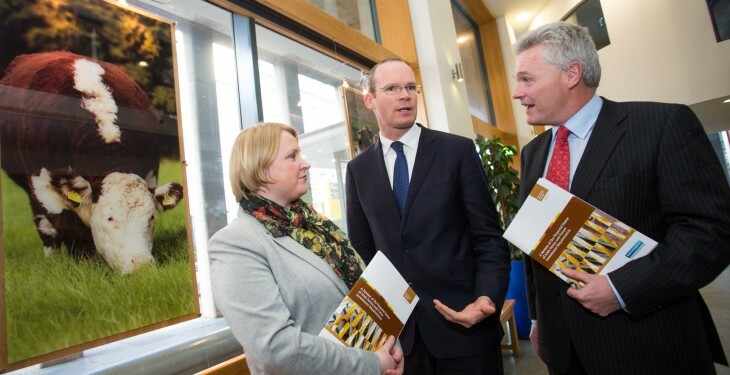 Speaking at the launch of the Review of the Financial status of Irish farms and Future Investment Requirements by Teagasc and Bank of Ireland, he said Ireland needs sustainable debt levels. “We don’t want farmers working for banks.” Farm families must benefit from investment, he said, and the opportunity for growth and expansion on farms is because of the context of a global marketplace that is there and is growing, particularly outside of the European Union. “Last year almost 30% of our produce goes outside the EU. We are almost exporting as much outside the EU as we are to the rest of Europe excluding the UK. He said that 3,000-4,000 more people are needed to milk cows if we are to fulfil the potential of dairy expansion as outlined in the Food Harvest 2020. The report also found that, on average, Irish farms have relatively low debt and high asset values relative to the EU average for all farms. It shows that, on average, Irish farmers had net new investments of €8,000 per farm in 2013, although this figure varied considerably from farm to farm. In the pig sector, some €27.7m has been invested by farmers to comply with dry sow housing regulations in recent years. This investment, the report said, has not generated increased productivity but has increased the debt burden of units and has been to the detriment of investment in other housing.